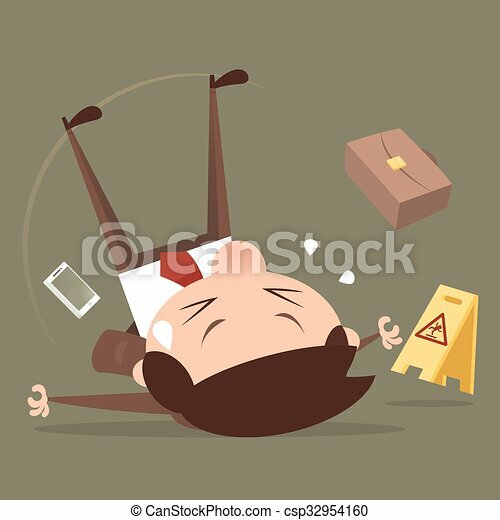 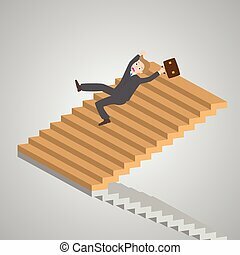 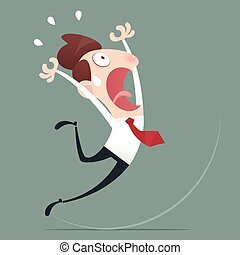 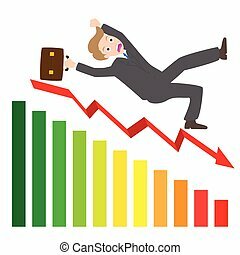 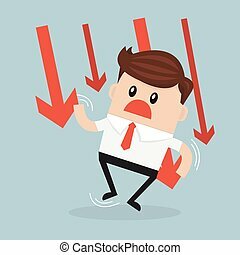 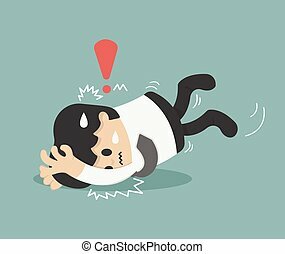 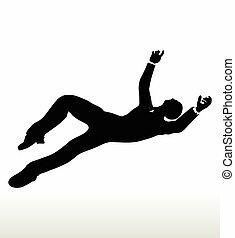 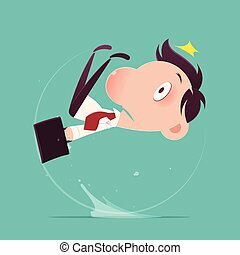 businessman slipping down on the stairs, vector, illustration. 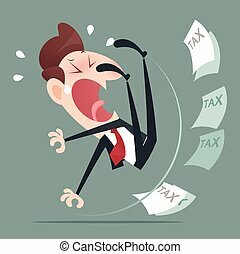 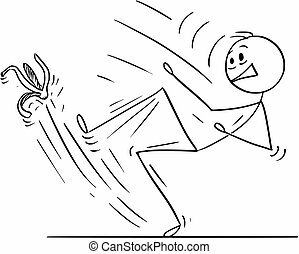 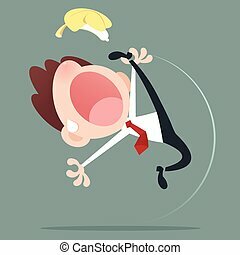 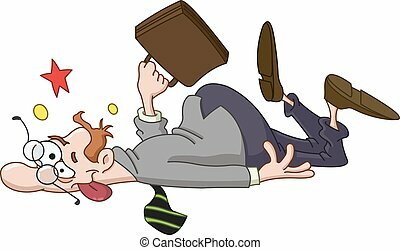 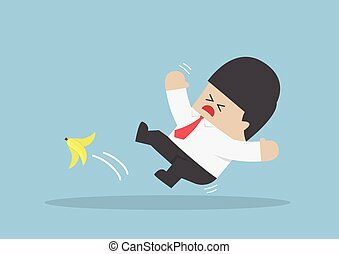 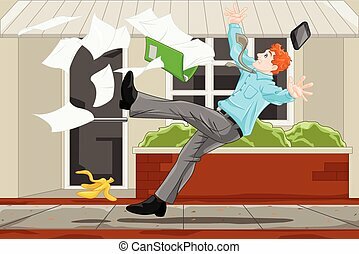 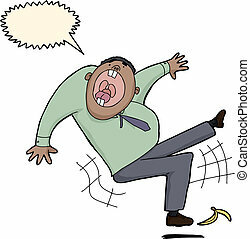 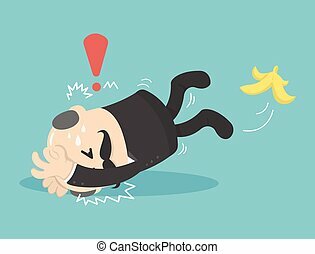 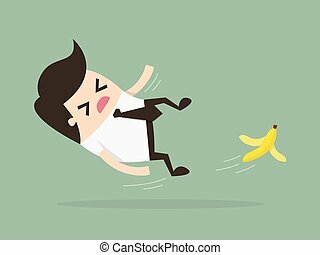 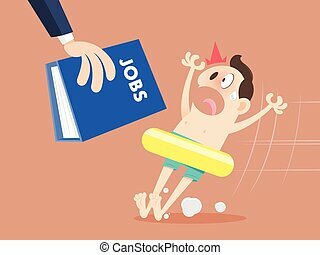 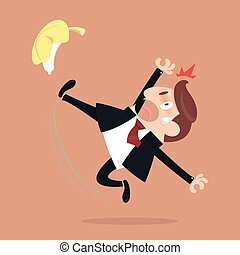 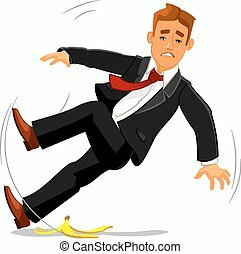 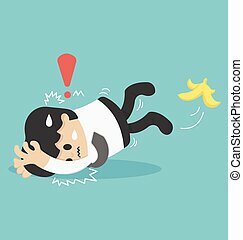 Businessman slipping on a banana peel. 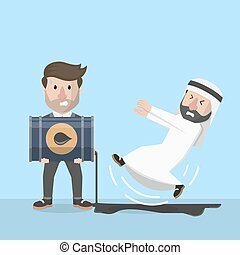 Business concept illustration.